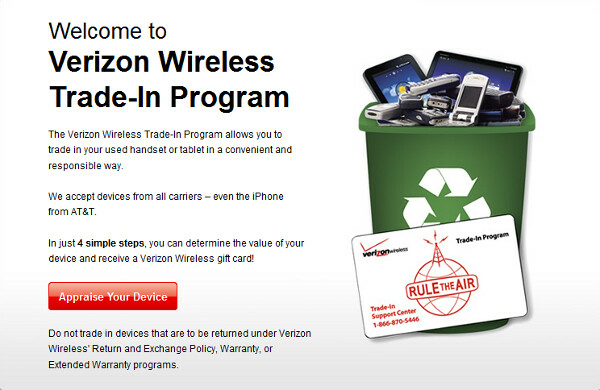 Last September as we reported, Verizon started its Trade-In Program. Those sending in old handsets can receive as much as $300 in the form of a gift card. Today, Big Red announced that it was going to start including tablets in the program. The value of the gift card that you get in return for your old device depends on whether or not the returned phone or tablet still turns on, the working condition of the screen and whether or not it is cracked. Greg Haller, vice president of consumer solutions for the carrier, said, "Whether you’re a mobile user looking to move to the nation’s most reliable network or a customer looking to trade up to a new tablet, our Trade-In Program provides options that people can feel good about. 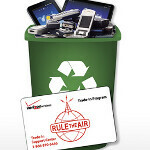 Adding tablets to our lineup of eligible trade-in devices along with wireless phones, gives users another option to recycle old devices and get value." Those wanting to see if their old phone or tablet has value can get an online appraisal of their device by going to www.trade-in.vzw.com and then decide if they want to send it to Verizon for a gift card. The cards can be used online, at Verizon stores or to pay a Verizon Wireless bill. Another option for those looking to rid themselves of old, unused handsets is to donate them to HopeLine from Verizon. This program gives out old cell phones to victims of domestic violence and more information can be found at www.verizonwireless.com/hopeline.